​A native of Danville, Derek graduated from San Ramon Valley High School in 1991. He obtained his bachelor's degree in Nutrition from UC Davis in 1995. 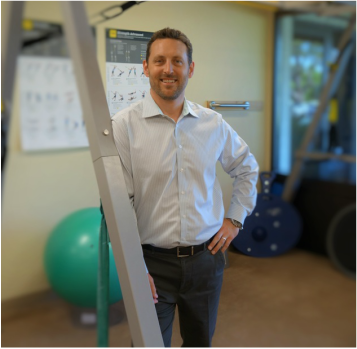 In 1998 he graduated first in his class with a Master's degree in Physical Therapy from UC San Francisco. Shortly thereafter he joined San Ramon Valley Physical Therapy. Realizing that his education was not finished, he attended many continuing education seminars over the next several years which culminated in him becoming certified by the American Physical Therapy Association as a Clinical Specialist in Orthopedics (OCS) in 2002. His certification was awarded after demonstrating advanced knowledge in the field of Orthopedic Physical Therapy. He lives in San Ramon with his wife Valerie who practices dentistry in Danville.